The holidays are the perfect time to indulge. For LatinoFoodie that means treating ourselves to new cookware and plenty of new kitchen gadgets. Our friends at Princess House have a stunning array of gourmet cookware that made us yearn for a bigger Christmas tree. We got to try out the new Terra Flame by Princess House. It is the ultimate grill, bake, AND serving stone. 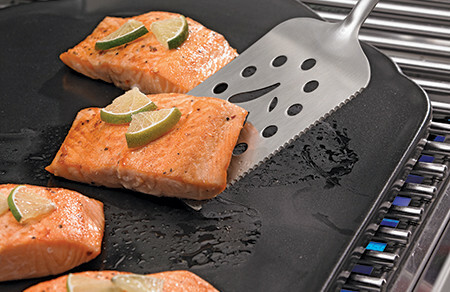 The modern black stone is perfect for our baking and grilling needs, plus it doubles as a sleek serving platter. We made our huaraches using the stone and served them up on the gorgeous platter. 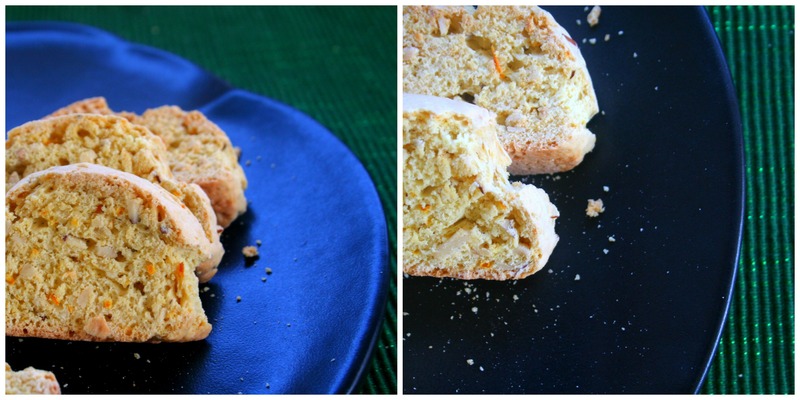 Next we baked our orange liqueur biscotti. With the unseasonably warm weather here in Los Angeles, our new stone is getting plenty of use on our grill too, grilling everything from shrimp to vegetables. Below is a simple recipe for huaraches. The dish is named for the huarache sandals and is made by flattening rounds of corn masa. They can be made ahead of time and frozen until ready for use, making it great for impromptu entertaining. The appeal of huaraches is that, like a taco, the topping can be pretty much anything from simple beans and cheese to leftover chicken mole, to lengua en salsa verde. Our favorite way to enjoy these is topped with beans and a fried egg for breakfast. We love our new Terra Flame and can’t wait to see what you guys make on yours. Don’t have one yet? No problem, we are hosting a giveaway for a brand new Terra Flame by Princess House. To enter the contest simply “LIKE” Princess House on Facebook and leave a comment on our Facebook page giving us the heads-up that you and adding the hashtags #princesshouse and #terraflame . For more information about this and other gourmet cookware visit the Princess House website and start cooking. 1. Combine the corn flour and salt in a large mixing bowl. Using your fingers, mix in the lard. 2. Slowly mix in the warm water until a smooth dough forms. Turn out on a clean, flat surface and knead until smooth. 3. Divide to dough into 6 equal pieces. Roll into oblong pieces. Press the dough and flatten until 1/4 inch thick, trying to maintain an oblong shape. 4. Heat a large skillet over medium heat. Cook the huraches in a dry skillet about 3 minutes each side or until the dough turns a slightly golden color. 5. At this point you can allow them to cool until you are ready to use them. 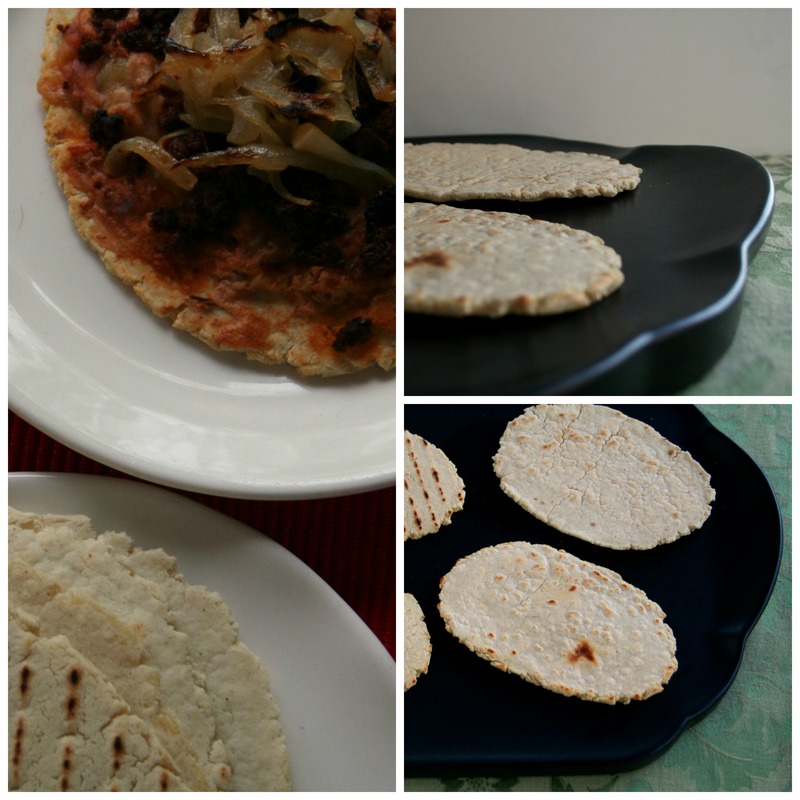 When you are ready to use simply place your huaraches on your Terra Flame and top with whatever you like and pop them in a 350° Farehniet oven for 5-10 minutes, or until cooked through. Each of the restaurants at the @leblancresorts in Cabo offered excellent choices with such attention to detail. We are hungry for more.... more days in paradise!